What is River Point Acupuncture? 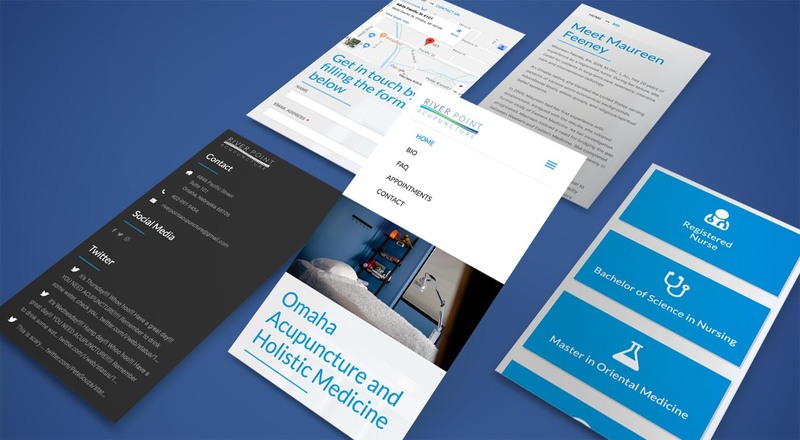 River Point Acupuncture is an Omaha business founded by Maureen Feeney, RN, BSN, M.Om.,L.Ac. Maureen’s goal is to provide the Omaha metro with the highest quality of care while sharing the benefits of traditional Chinese medicine. Her practice bridges the gap between Western and Eastern medical philosophies. What did the Monsters at OMG do? This has been a great project to work on and fun business to team up with! 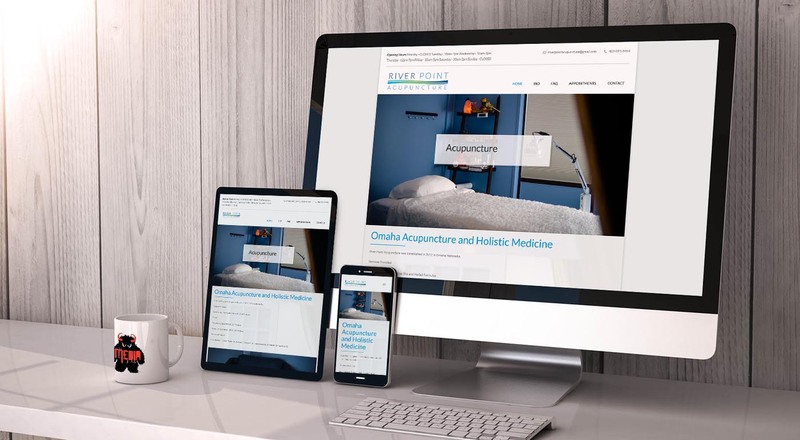 In the midst of developing a new site for River Point Acupuncture, the branding itself needed an update. 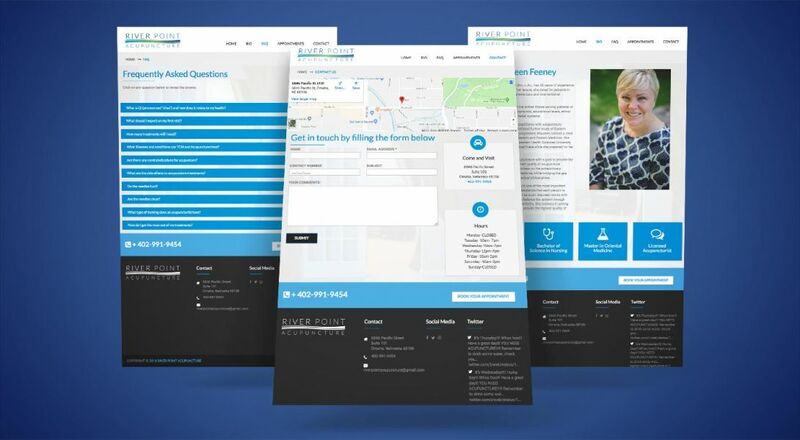 Our creative Monsters found inspiration in the holistic nature of the client's services provided and paired the site with a therapeutic color palette. River Point's high quality of patient care is captured with a clean, eye-catching logo. Their new responsive website features custom photography, a thorough FAQ section, appointment scheduler and easy to use contact form. If you’re looking for a great acupuncturist, we highly recommend checking out River Point! Be sure to check out their new website!